Amphitryon is a harsh and brutal tyrant. His wife, Alcmene, has fallen out of love with him, and eventually grows disenchanted with their son, Iphicles. She goes to the temple of her goddess, Hera, and begs that Amphitryon’s tyranny comes to an end. She begs that the son who inherits the throne not be the son of Amphitryon. Hera speaks through a possessed temple attendant, and agrees that, for the sake of peace, Alcmene may conceive the son of Zeus, Hera’s husband and Alcmene’s god. Later, Amphitryon walks into Alcmene’s bedroom while she is, um, making babies with the invisible Zeus. Amphitryon is enraged; he believes Alcmene is with another lover, but is unable to find the culprit. Nine months later, Amphitryon approaches Alcmene and her new infant. He informs her that the infant will be named Alcides and he will never be the equal of Iphicles. After Amphitryon leaves, though, Alcmene whispers to the baby that he has a true name – Hercules. Hercules and Iphicles grow up together, as rivals. They have feelings for the same princess, however, Iphicles is heir to the throne and because of this he gets what he wants. Hercules gets sent into battle. He is captured, sold into slavery, released through his bravery, captured again, released again, and ultimately reunified with the princess. The film feels kind of like one continuous fight scene. Hercules learns the true identity of his birth father towards the end of the film. He uses that knowledge to call on his birth father for help, and draws strength from his birth father. He uses that strength to kill his adoptive / step-father. For what it’s worth, though, his adoptive / step-father had recently killed his mother. One character gives Hercules counsel highlighting the importance of self-knowledge, “You must accept who you are – only then can you unlock your potential.” It is important for everyone – perhaps especially for those touched by adoption – to embrace their complex identities. Man of Steel(and some, though not all, of the older Superman movies) capture this quite well. There is strength to be drawn from one’s birth family. One character is advised that his destiny will take him “further from love” than he can imagine. Hercules and Iphicles have a very negative relationship – Hercules goads Iphicles, and Iphicles eventually works against Hercules. 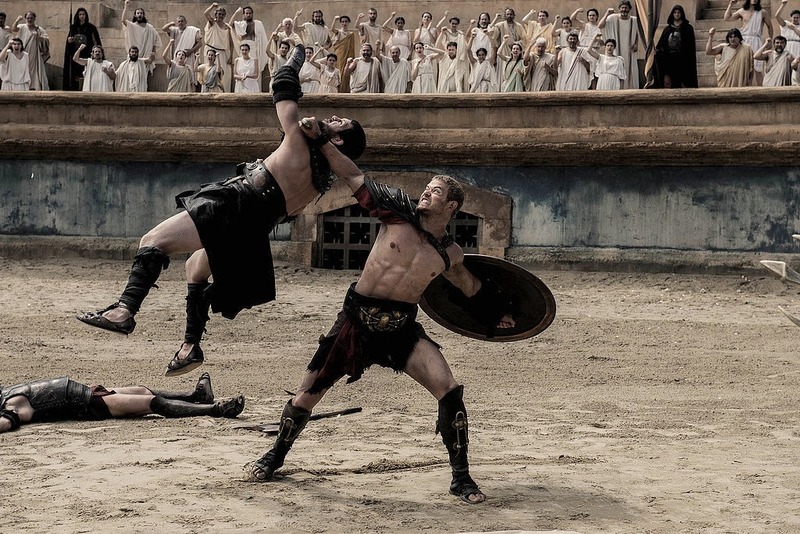 Hercules’ true parentage was a long-kept secret from everyone – Amphitryon, Iphicles, and Hercules himself. Amphitryon had paid to have Hercules killed. 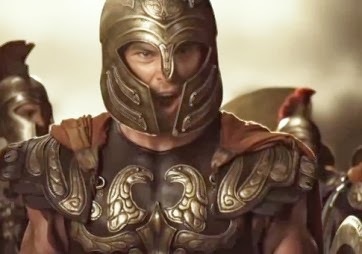 One reviewer suggested that The Legend of Hercules is aimed at thirteen-year-old boys. I’d maybe expand the age range a bit higher, and say that it’s most likely to appeal to boys between the ages of 13 and 16 or so. Plus anyone who liked Twilight enough to watch something just because it has Kellen Lutz (aka Emmett Cullen) in it. (By the way, I reviewed Twilight on this site, too!) It is a violent film, and there’s not too much more to it than that. However, for the foster and adoptive teenagers who watch it, issues of parentage might be very interesting. A message they might take from the film is that one’s birth parentage is very important and can be a source of strength – that’s wonderful. But it also seems that the film says, “one’s birth parentage is supremely important, and nothing else is real.” And that could be a damaging thought. Parents’ call on this one – use your knowledge of your child to know whether it will do harm, do good, or just be a relatively mindless fightfest. How important is it for a person to know their heritage and ancestry? How much of your identity is drawn from your ancestry, how much is drawn from your childhood, how much is drawn from your adulthood? Come back every Tuesday morning for a new movie review! New to Adoption at the Movies? Check out the Adoption Movie Guides on the menu bar. Also, like Adoption at the Movies on Facebook, and follow us on Twitter for updates. Great summary. I haven't seen this movie yet, but I am very familiar with the myth. The "Nature vs. Nuture" argument is strong here. Hercules inherited several traits from his bio family, and he draws on that strength - and he struggles to live up to an expectation and pressure he feels due to his lineage (as an adoptee who is in contact w/ her bio parents, I can attest to the fact that the pressures to "fix things" in the bio family do exist, even 30+ years later) but his nurturing offers coping mechanisms that help keep him (fairly) level headed (or as level headed as any Greek hero). Hi J! I'm not actually familiar with the myth, but I read in one review that this film has strayed pretty far from the myth. 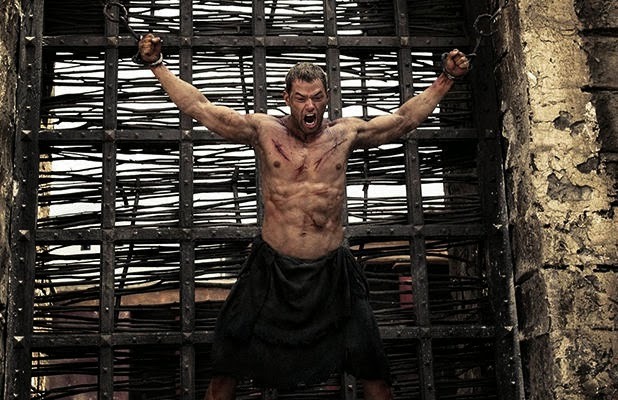 In the film, Hercules only learns of his lineage later in life and draws strength from it to overcome the man he had previously thought was his father. 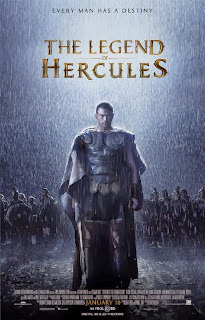 Instead of nurture, -this- version of Hercules is kept focused by his desire for a girl. Now I've gotta go get familiar with the myth! I'm so glad that you commented. I hadn't thought much about the strength of the drive to "fix things" in families of origin, but now that you say it, I easily see how powerful that drive can be. Thank you! One of my favorite adaptations (though cheesey as can be by today's standards) was the TV series with Kevin Sorbo. If you can stomach it, it presents a few interesting arguments (and some fun eyerollingly awful dialoge and effects! ).